The newest smash hit game on Android named Temple Run, has finally received an update to fix some major issues that have plagued it since release. There was one nasty bug that made the app freeze up and close whenever you went to restart the game, which was quiet annoying. 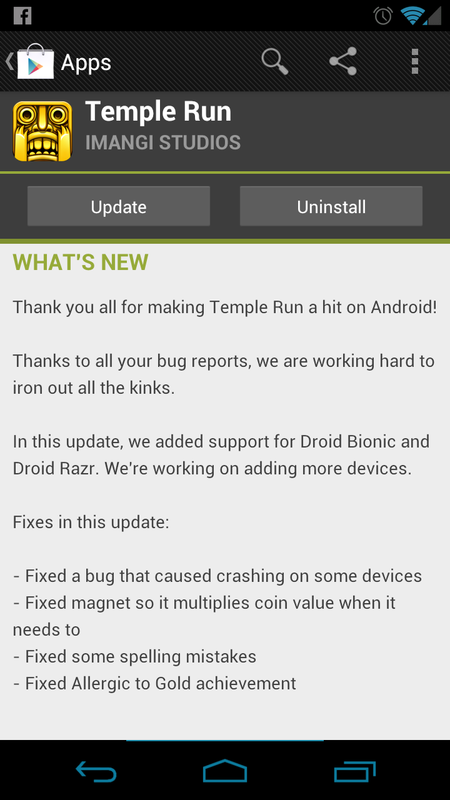 On an even better note, they have also added support for the DROID Bionic and DROID RAZR devices. Go grab it and let us know if all the kinks have been worked out.